How well do you Know Kongu Nadu? 1. If Train No 12676 operating between Coimbatore and Chennai is named Kovai Express, what is Train No 12647 operating between Coimbatore and New Delhi named? 2. Born in Chennimalai, in Erode, he is better known for his association with Tirupur. In Tamil he is popularly described by something he was doing when he was killed by the British during a protest march near the Noyyal river in 1932. Name this freedom fighter. What was he doing when he died? 3. 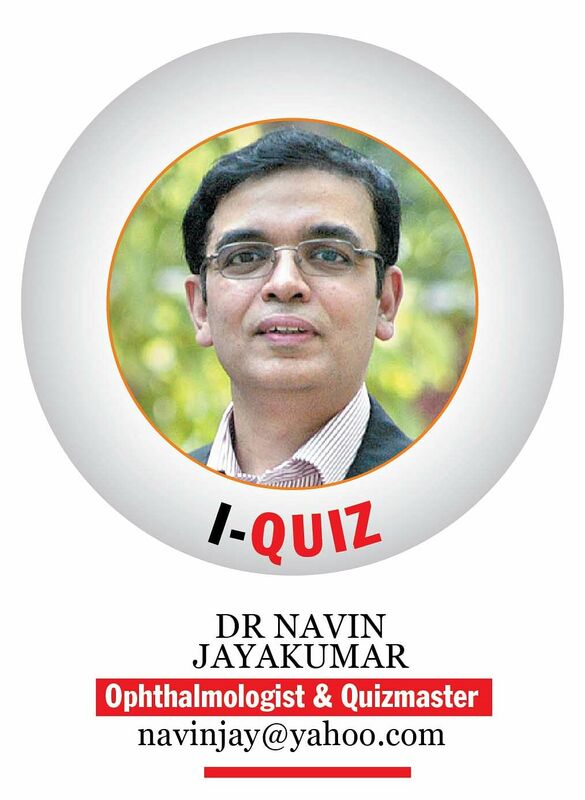 After which famous son of the soil and founder of the Dravidian movement was Erode previously named? 4. Which tribal community of the Nilgiris live in traditional houses called ‘munds’? 5. Justice Party politician R K Shanmukham Chetty served as the Vice Chairman of the Coimbatore Municipality from 1917 to 1920. He is famous for doing something in the Parliament that happened for the first time in independent India. What did Chetty do? 6. This title is used by various social groups in the Indian subcontinent. It originates from the Sanskrit word meaning ‘protector’ or ‘leader’. The word indicates the origin of the ____nayakes of Sri Lanka (eg: Bandaranayake). How is this word modified by certain social communities in (a) Andhra Pradesh and Tamil Nadu, and (b) Kerala? 7. Namakkal, which is part of Kongu Nadu, is famous for its Hanuman temple. It is also famous for being India’s second largest producer of a certain farm product, producing three crore of these daily. Name the product. 8. What is the name of the single-engine multirole supersonic fighter that will soon replace the IAF’s ageing Russian MIG 21 fleet when inducted in six squadrons of 20 fighters each? Name the IAF Base that is located near Coimbatore where these squadrons will be based. 9. a) Which dam built in 1934 across the Kaveri is considered one of the important reasons for the growth of Coimbatore as a city in the 1930s? b) What is the name of the manmade lake created by the water retained by this dam? 10. Which American city in Ohio is nicknamed the Glass City and is the ‘Sister City’ of Coimbatore? 11. SACON is the national Centre for information, education and research in Ornithology and Natural History in India. Its main campus is at Anaikatty, which is 24 km northwest of Coimbatore. Name the famous naturalist after whom the centre was named and the letters S and A stand for. 12. Between 1799 and 1805 the British fought a series of battles against the Palaiyakkarars (military governors appointed by the Nayak rulers). The British victory made large parts of Tamil Nadu come under British control enabling them to get a strong foothold in Southern India. These battles are referred to in history books as the _______ Wars after the British mispronunciation of the word ‘Palaiyakkarars’. What were these wars called? 13. This tribe lives in Tamil Nadu and Kerala. In Tamil Nadu they live in the Nilgiris, Coimbatore and Erode districts. When the Indian Parliament adopted the Wildlife Protection Act in 1972, the tribe found that its sole livelihood was suddenly made illegal and was now punishable with a jail sentence. Romulus Whitaker helped this tribe form the ____ Snake Catchers Industrial Cooperative Society and now they catch snakes for a specific purpose. Which tribe is this and what is this purpose? 14. a) Where in the Nilgiris is the Madras Regiment, which is one of the oldest regiments in the Indian Army, headquartered? b) By what Tamil name are its soldiers affectionately called? 15. The Victoria Falls on the Zambesi River in Africa has a local name Tokaleya Tonga meaning ‘smoke that thunders’. Which water fall in Dharmapuri has a Kannada name meaning the same? 2. Tirupur Kumaran. He was protecting the national flag because of which he is known as Kodi Kaatha Kumaran. 13. The Irula tribe that now catches snakes for venom extraction that is used for preparing anti-snake venom serum.